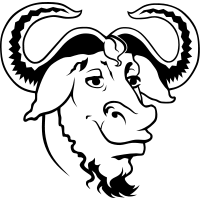 Welcome to the home of the GNU social and GNU FM projects! We are creating software for the web that respects your freedom - software that works as network services, through your web browser, or over the Internet in some way. All of our code is free software, licensed under the GNU Affero General Public License. GNU FM is the music community platform created in 2009 for the GNU Project. It implements the Audioscrobbler protocol, powers Libre.fm and supports federation between many Audioscrobbler servers, including Last.fm. Need To Contact Us or Get Support? If you would like to report an issue with one of our projects, if you’d like to suggest a modification to this site, or if you have any questions we’re here to help! Thanks to Bytemark, Libre.fm, GNU FM and GNU social have a new home in the UK, with resources to open a series of public GNU social servers for new users, including private servers dedicated to GNU social development. gnu.io by The GNU Network Services Project is licensed under a Creative Commons Attribution-ShareAlike 4.0 International License.